Having seen the last Harry Potter movie, I cannot believe that the global phenomenon which enchanted lakhs and crores of children AND adults with its binding spells, is about to end! Fabulously picturised, without losing the essence of thrill and anxiety in the book (even adding to it at times), I would call Harry Potter and The Deathly Hallows Part 2 the best movie in the series. The movie made me cry and laugh, and it was with a content and happy feeling that I left the theatre. Words fail to describe the feeling! The Harry Potter books had been something that captured me right from the start. I was bound by its magic the moment I read the first page, or maybe the first line. Everything in the book fascinated me, and it still does. For that very reason, I cannot stop myself from reading them again and again. I can say for sure, that however older I get, the series would still have this special place in my heart! Hats off to: J.K.Rowling – the wizard of words, the movie guys, the casts! 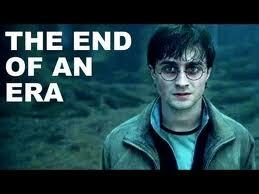 It’s with tears of joy that the world bids adieu to this wonderful series. 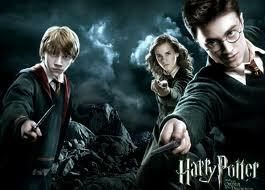 We love you Harry, Ron and Hermione! And JKR, you’re the BEST!! PS- One good news is that it actually doesn’t end here. Thanks to the amazing JKR, HP fans still have a reason to celebrate as the mini-kind-of-social-networking-site “Pottermore” is being introduced. Now that’s gonna be another fascinating experience for the ones who love Harry Potter!!! But wht will happen when JK Rowling is dead!